When Grayson County, Va., needed serious help, Jonathan Sweet returned home to answer the call. For this reason he has been named American City & County's County Leader of the year, 2015. 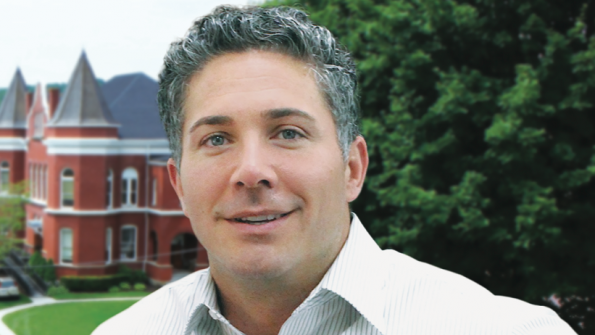 When Jonathan Sweet returned to his home of Grayson County, Va., to serve as administrator, he was met with disdain and animosity. Now, six years later, he’s receiving standing ovations. The reason for the initial mistrust of Sweet, Osborne explains, was because of the county’s tremendous financial struggles. Jobs were scarce, businesses were shuttering and poverty was rampant. The county government had been mismanaged and was in financial crisis. Although Sweet inherited those problems, he became the de facto face of Grayson’s maladies. Sweet started his professional career as the Director of Economic Development of Carroll County, Va., and then served Danville, Va., in their office of economic development. Sweet then moved to Bland County, Va., to become County Administrator at the age of 24 – one of the youngest in the state to hold that position. However, he was tied to Grayson, where many of his friends and family lived. It’s where he felt most at home. But Sweet was always ambitious, Carrico says, whose ties to the young administrator are both professional, and as Sweet’s brother-in-law, personal. Carrico says he’s always seen a drive and work ethic in Sweet that was unparalleled. Ultimately, although Sweet was well established in Bland, he decided he needed to return home to Grayson. This decision, however, was not easy. Sweet took the position of administrator as the national economic downturn was cresting, and like many counties across the nation, Grayson was in dire straits. The county itself is isolated – it lacks a major interstate highway and is cut off geographically by mountain ranges. Because of this, Carrico says the county’s opportunity to grow jobs has historically been slow. As the furniture industry shrank and textile jobs moved overseas, the county really began to suffer, ultimately hitting an unemployment rate of 14.6 percent. By the time Sweet came on board, the county had taken on $18.3 million in debt, and was relying on credit to stay afloat. When Sweet came to the county, the Board of Supervisors charged him with three main tasks: to restore the county’s fiscal health, to bolster economic development through job creation and to restore the citizen’s faith, confidence and trust in local government. Smith admits some of Sweet’s initial measures were difficult for the citizens, who were already stretched thin. But through creative and resourceful initiatives, Sweet was able to begin righting the ship. The county launched a cost-saving “green” initiative by adding solar to its energy portfolio, and began a recycling program that saved a significant amount of money by diverting refuse from the county waste stream. Taxes were tweaked and new fees were implemented. “It wasn’t easy, but we ended up cutting expenditures by almost 13 percent,” says Sweet. The county also embarked on an aggressive grant writing initiative to purchase necessary equipment and infrastructure. “That included writing grants for vehicles, for phone computer systems, for parks and recreation, for a variety of general governmental functions,” Sweet says. “We were very successful with that.” In 2014, the county was able to secure more than $2.5 million in grant funding for economic and community development, or $154 invested for every Grayson County citizen. 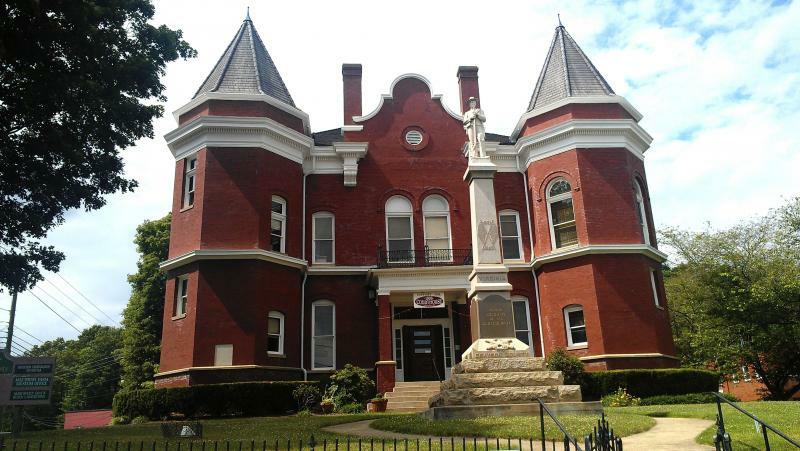 As a result of Sweet’s prudent financial management, the County today has achieved a fund balance of 35 percent of its overall operating costs, Smith reports. Additionally, the county was able to reduce its debt significantly, paying off four long-term loans well ahead of schedule, saving taxpayers more than $510,000 in interest payments alone. One of the first job creation projects Sweet worked on was getting a state prison up and running in Grayson. The previous administration had convinced the state to help it build the River North Correctional Center, but, due to economic and contractual challenges, the facility ended up sitting idle. However, under Sweet’s leadership, the county was able to convince then Virginia Governor Bob McDonnell to close older facilities in the state and open River North, bringing hundreds of jobs to the region. But this was just the beginning of Sweet’s job creation campaign and Grayson County’s turnaround. In 2014, Sweet’s hard work and dedication paid off with the announcement of three major economic development projects. Over 300 new jobs were created in the county in that year alone, and Grayson County finished second in the state for job creation per capita. Of the economic development and job creation projects Sweet is most proud, he points to Core Fitness’ purchase of the Nautilus brand and the company’s Grayson Facilities. 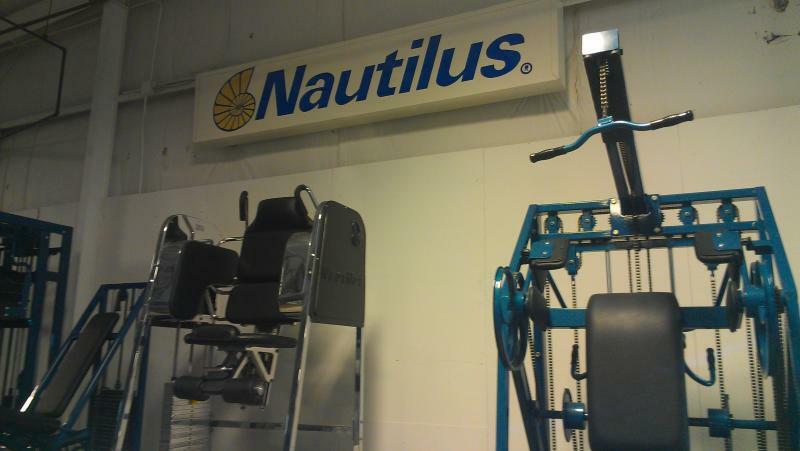 “Nautilus – that was a business that was ready to close the doors,” says Carrico. The industry was failing, and the company was looking to move. Osborne says that without Sweet’s tireless work and eleventh-hour negotiating, the deal would have fallen through. Nautilus is now the single largest employer in the county, and its main economic engine. But keeping Nautilus’ doors open impacted more than the single business and its workers. Sweet labored to craft a mutually beneficial agreement between Core and local suppliers and vendors that was critical to the survival of many of Grayson’s small businesses, creating a ripple effect of economic prosperity. The second project, Independence Lumber, also helped Grayson expand its job base. In November of 2012, the facility suffered damage from a fire, and the company was forced to move its operations to neighboring North Carolina. Smith says that through Sweet’s efforts to put together a support package, the company was able to repair and rebuild. Since Independence’s reopening in 2014, the company has expanded to 125 jobs, nearly 100 percent more than the initial estimate. The third project, Hensen Turbine’s relocation from North Carolina and expansion into Grayson County, represented a $2.5-million capital investment and created 25 new jobs. The project solidified the company’s $4 million in taxable investment, retained the capacity for future growth opportunities and preserved the many residual benefits enjoyed by the community, according to Smith. In 2014, Grayson County was one of only 25 jurisdictions in the state to have announced three or more state-qualified projects, and finished 17th in overall capital investment per capita. The unemployment rate now stands at 6.9 percent, less than half of what it was at its peak, Smith reports. As previously stated, when Sweet came on board, trust in local government was at an all-time low. However, through the arduous work of repairing the county’s financial and economic houses, confidence in the local government’s abilities has begun to grow. This transparency has lead to a renewed confidence in the local government’s ability to solve problems. A tangible example of this faith occurred this summer when the local school board and a group of citizens approached the county for help with its financial troubles. “We put together a substantial supplemental appropriation to, in essence, bail the school system out, and to rebuild the school system,” says Sweet. Smith explains the public school system, due to new construction and financial mismanagement, had gone into debt, and required an $800,000 bailout. “If that had happened before Jonathan Sweet had come, it probably would have been enough to sink us both – the county and the school system,” he says. The county was financially in a position to help, says Smith, but the situation itself was representative of the turnaround in the citizen’s trust in their county government. Whereas before, citizens would come to county meetings looking to criticize and disrupt, they were now coming from a place of trust, looking for support and collaboration. Sweet is excited about the future of the county. He feels the tides turned in 2014, and over the next two years, the county and its citizens will realize the benefits of their hard work and sacrifice. He says over the next few years the county will continue to support its current industries, will strategically invest in its schools and, by extension, its workforce to attract transformative economic development projects to the area. Smith relates that for the first time, Grayson has a clear vision of where it’s going. By digging itself out of its financial grave, the county can look to the future with optimism. Sweet and his team have drafted a 5-year capital improvement plan, with approximately 20 different objectives they would like to meet. Sweet says that having already accomplished the first year of the plan, there’s no reason to think the next four will be any different. Although Grayson faced challenges specific to its borders, the lessons learned from its success are universally applicable, says Sweet. Almost every government faces challenges with citizen engagement, financial prosperity or economic growth, and what Sweet has learned though his experiences in Grayson, he says, can help others in similar situations.